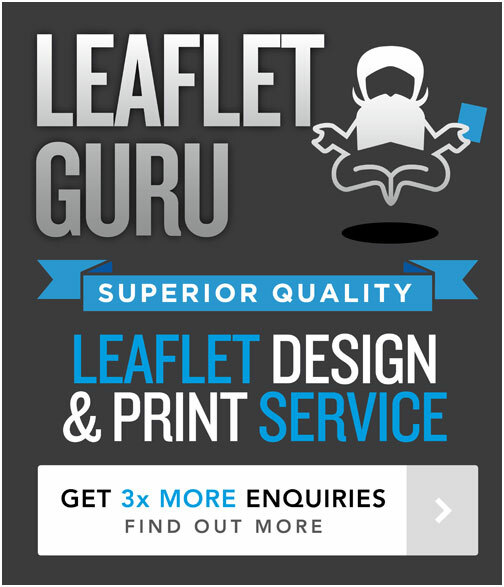 The Leaflet Guru is infact me, Stuart Hodgson, an award winning, professional graphic designer based in the North-East of England and the author of all the posts & tips featured on this leaflet design & print blog. In car eyou were thinking, I don’t have a long beard, I can’t levitate and I’m not really a Guru 🙂 But I have been a commercial graphic designer and marketeer for over 15 years now, so I do know more than most about what makes an effective leaflet as I’ve been designing them for ages and I have developed a vast range of experience to know what really works and what doesn’t, and what works for particular clients, services & industries. So I set up this blog to share my insider knowledge and experience to compliment my own leaflet design & print service, and to help people understand what makes an effective leaflet. I often refer my new clients to various pages on this blog for tips, so I’ve tried to make it as good a resource as possible. I hope it proves of use to anyone who comes across it! But back to the blog, whether your a business owner, a designer just starting out – or just in need of some inspiration and tips – I hope the blog is of use!